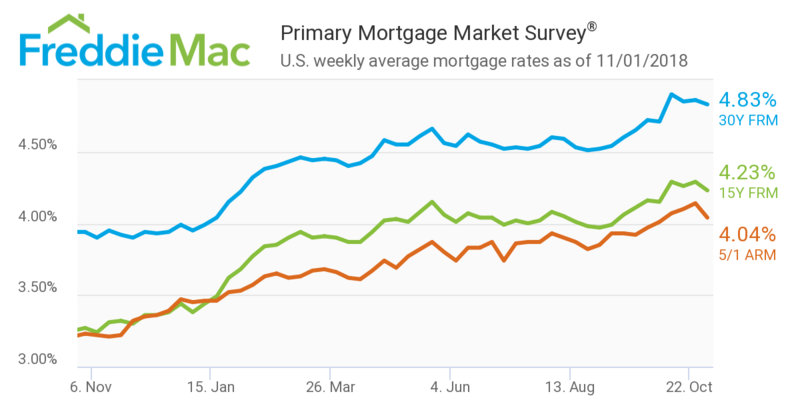 Mortgage rates took a slight dip in the latest Primary Mortgage Market Survey (PMMS) from Freddie Mac. The 30-year fixed-rate mortgage (FRM) averaged 4.83 percent for the week ending Nov. 1, down from last week when it averaged 4.86 percent. The 15-year FRM this week averaged 4.23 percent, down from last week when it averaged 4.29 percent. And the five-year Treasury-indexed hybrid adjustable-rate mortgage (ARM) averaged 4.04 percent, down from last week when it averaged 4.14 percent. Sam Khater, Freddie Mac’s Chief Economist, insisted that any increase in mortgage rates will not damage the housing market or the wider economy. I have had the most professional and courteous service received from Ernest and Alex with Pacific Financial. Working with Ernest... read more I have been able to be well informed of the process every step of the way. Alex was able to come up with creative ways to satisfy the needs of my request and the process was smooth and efficient. I am happy with my refinance in order to add on to my home and I am looking forward to working with Ernest and Alex in the upcoming months to refinance again!